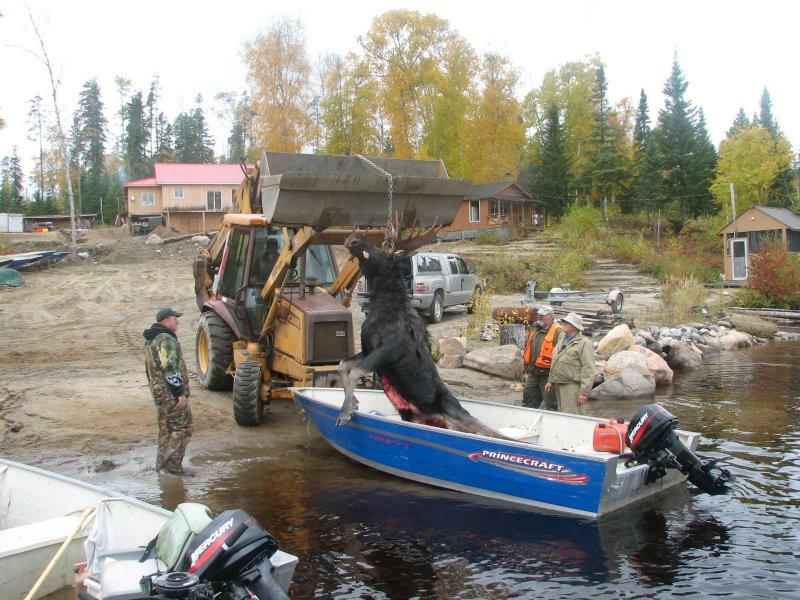 A place known for its quality fishing for Walleye and the "BIG" Northern Pike. 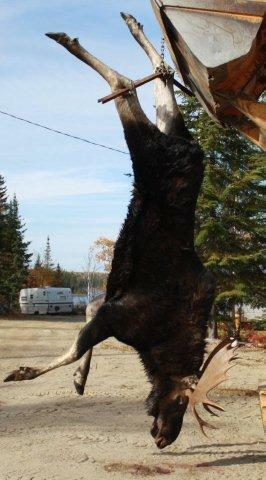 Situated on the Gouin Reservoir A Dream, A Reality! 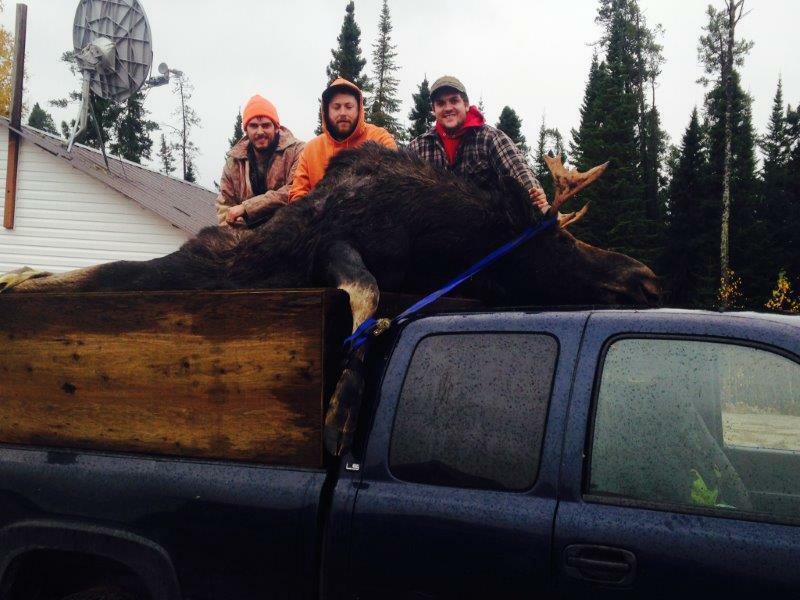 Includes: cabin, boat, motor and blind. 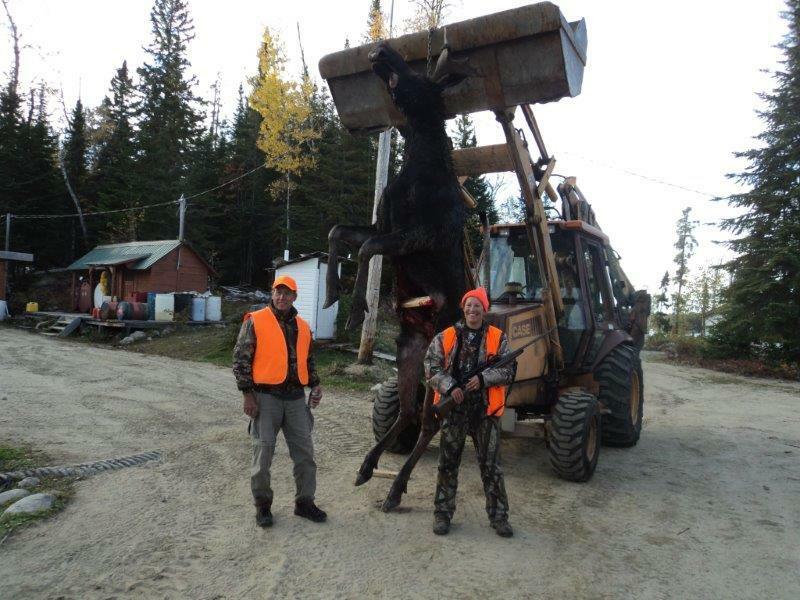 Looking for a challenge? 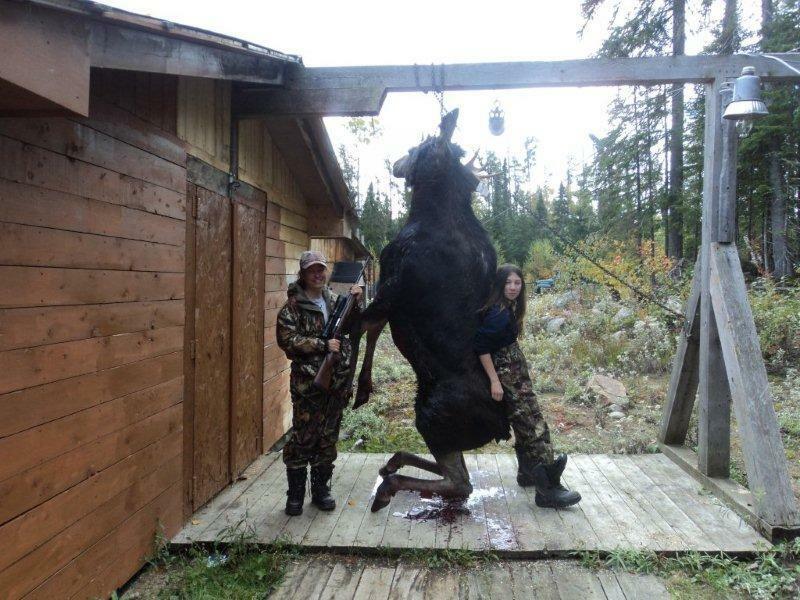 Some of the biggest moose in the Province of Quebec have been spotted in the Nemio area. 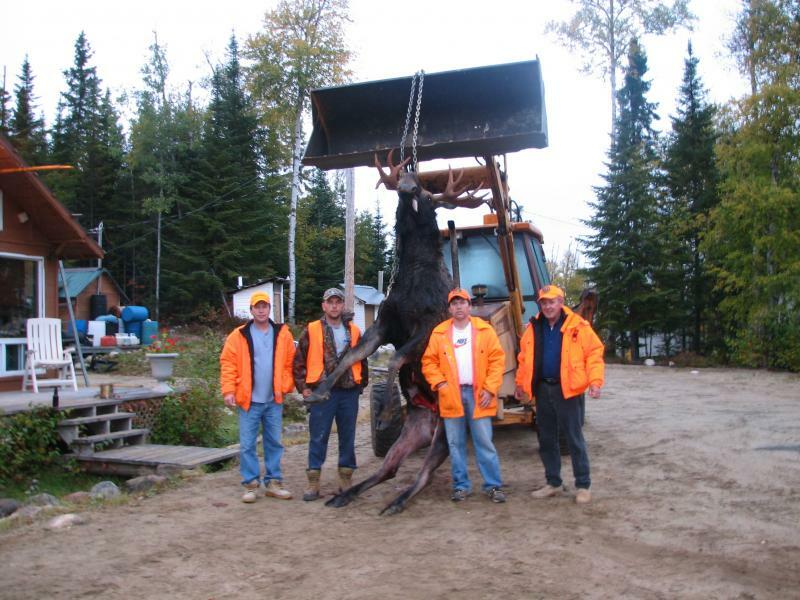 Hunting these beauties however, is not for the faint of heart.The territory in which they are found is virgin timber that has never seen the woodsman's axe or lumberjack's saw. 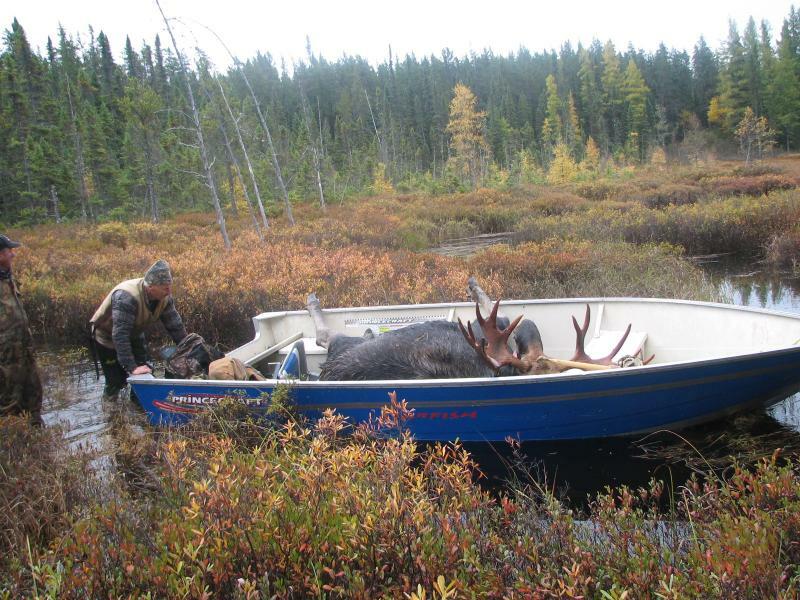 It is rugged, untamed wilderness that is accessible only by boat and float plane. 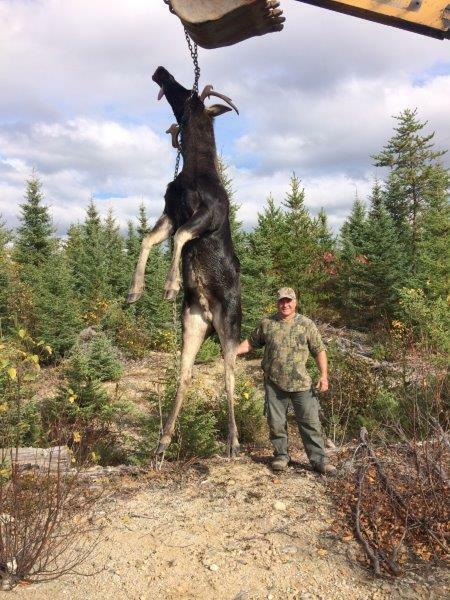 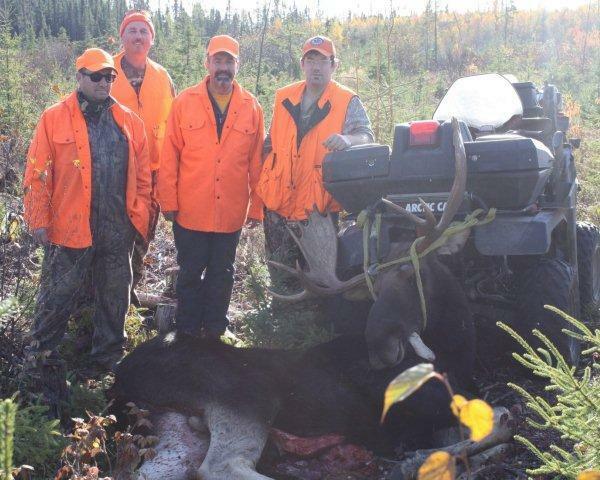 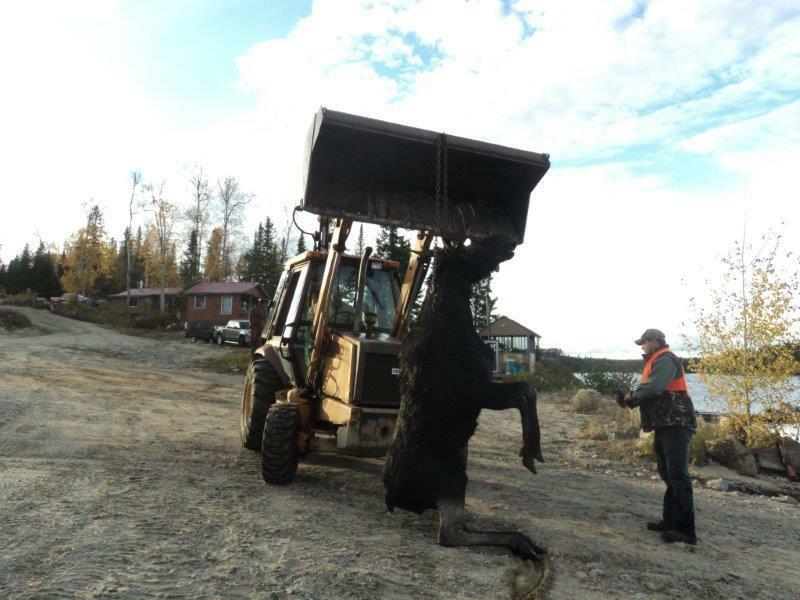 To assist hunters with their hunt, the Nemio staff provides strategically placed shooting stands, transportation to and from these stands and the retrieval of any moose harvested. 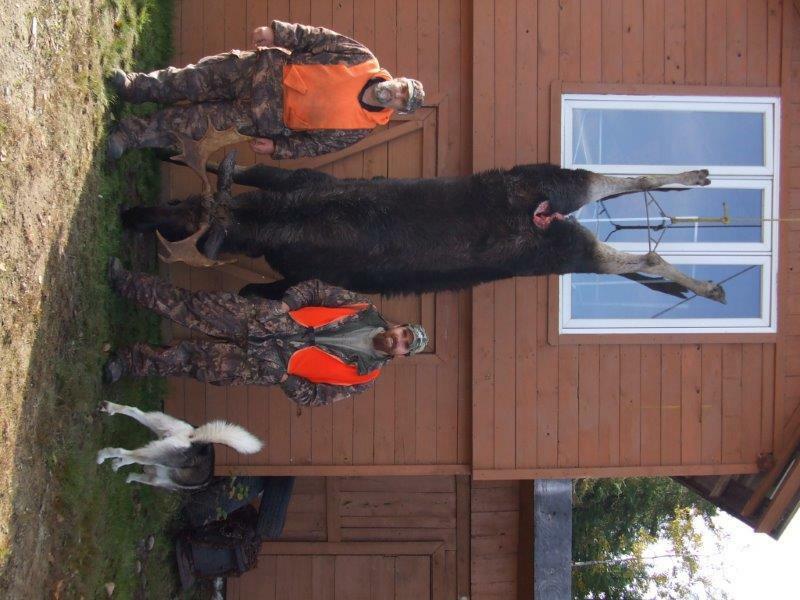 The majority of these stands are located on islands large enough to contain several small lakes. 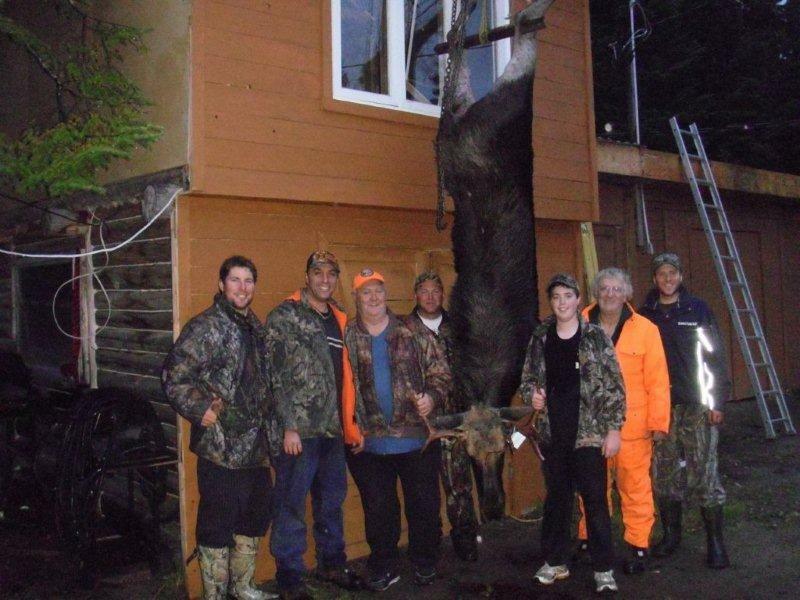 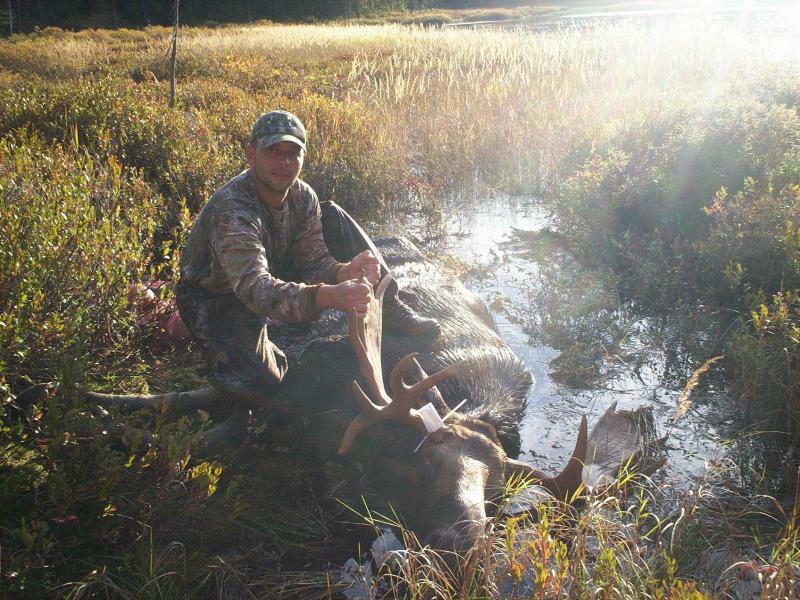 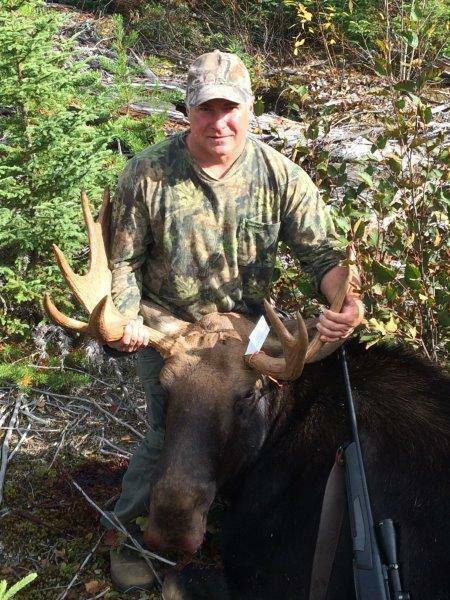 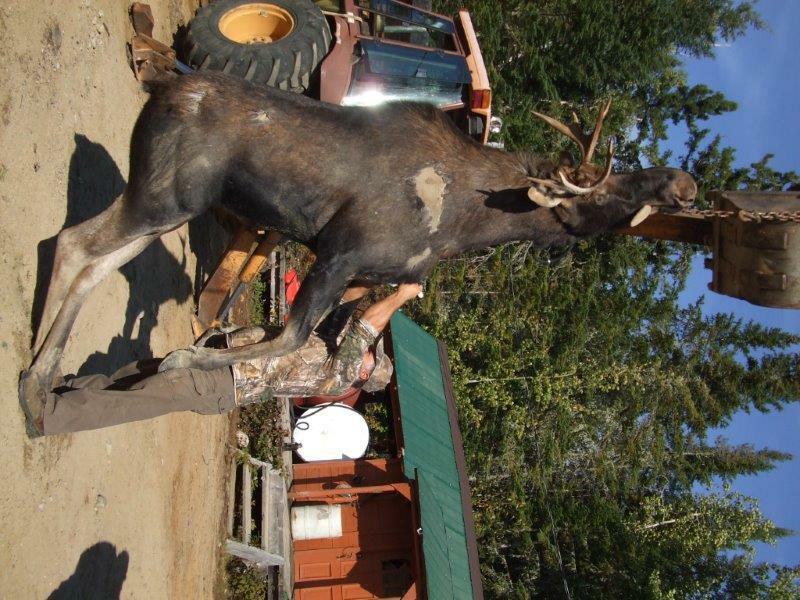 Each hunter will be given exclusive rights to one or more of these islands all of which are home to numerous moose. 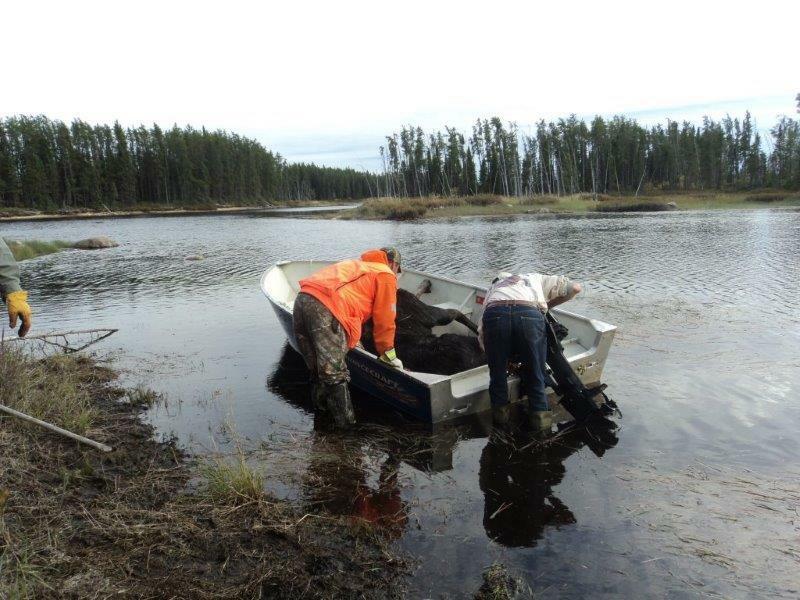 For those individuals prepared to venture farther afield, well marked trails have been cut through the timber to the interior lakes on each island. 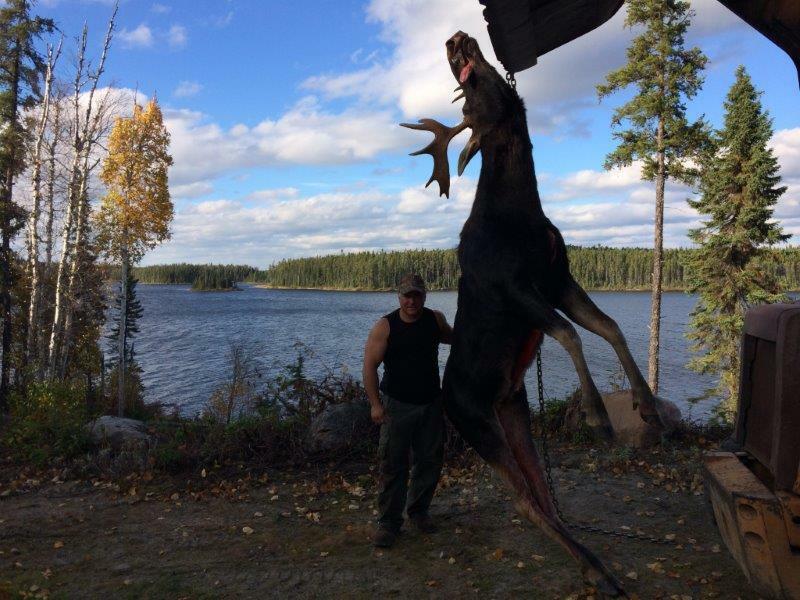 These trails average several miles in length and afford access to some of the best moose hunting territory in the province. 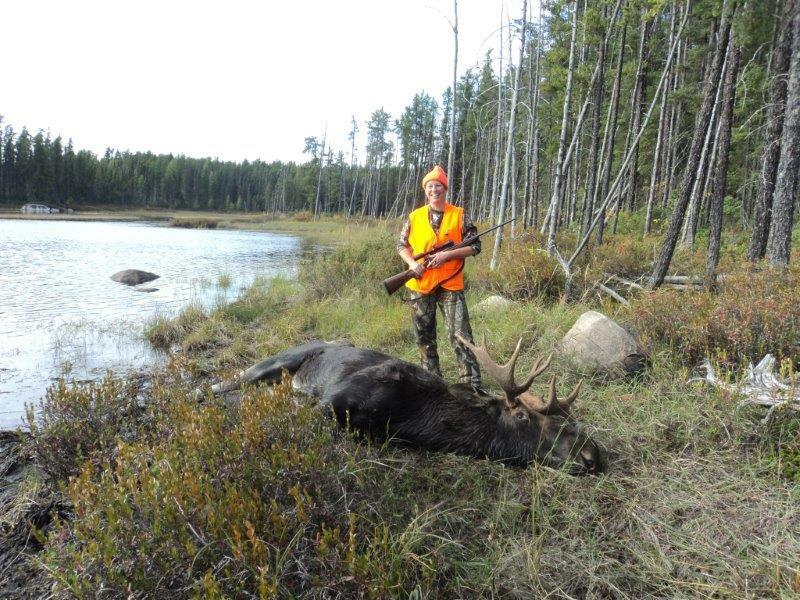 The isolation afforded these lakes by their secluded locations offer the hunter unparalleled moose hunting opportunities. 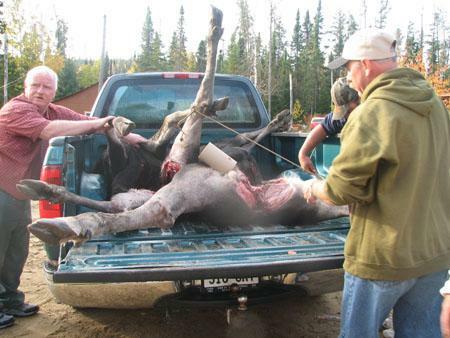 Once harvested your moose will be transported to the main camp where you can skin, quarter and prepare it for transport home. 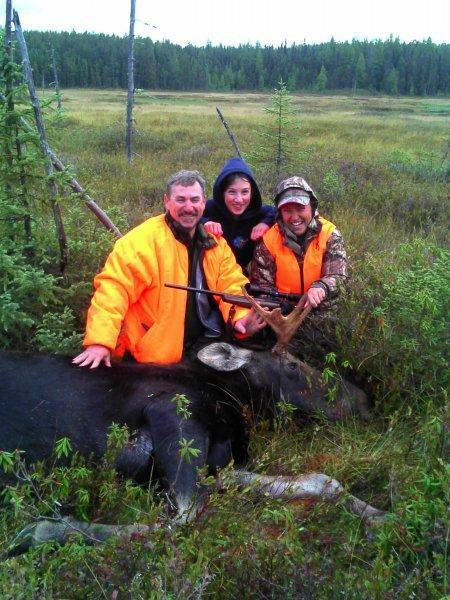 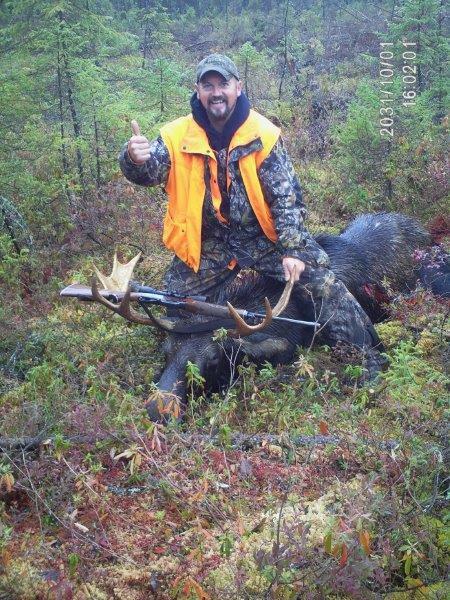 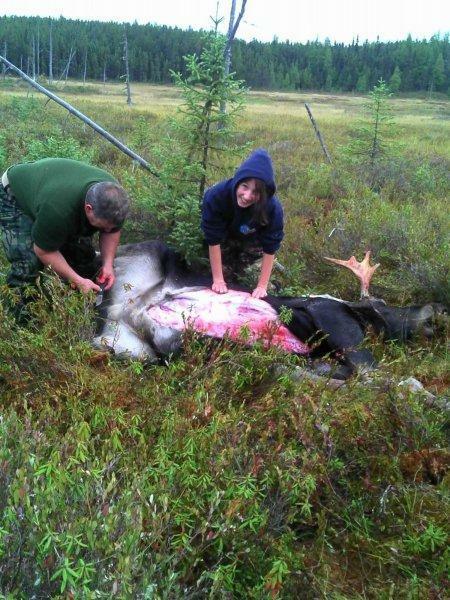 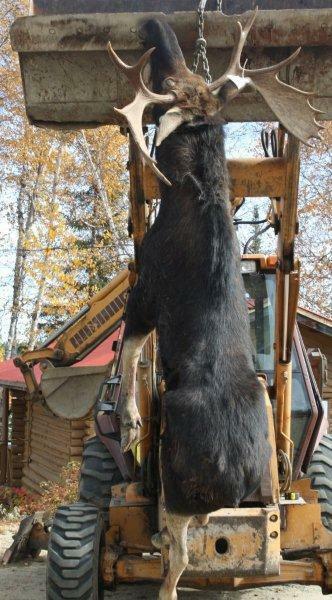 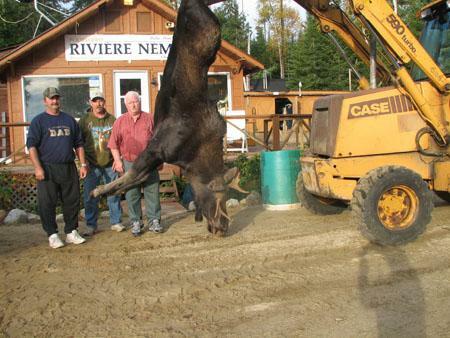 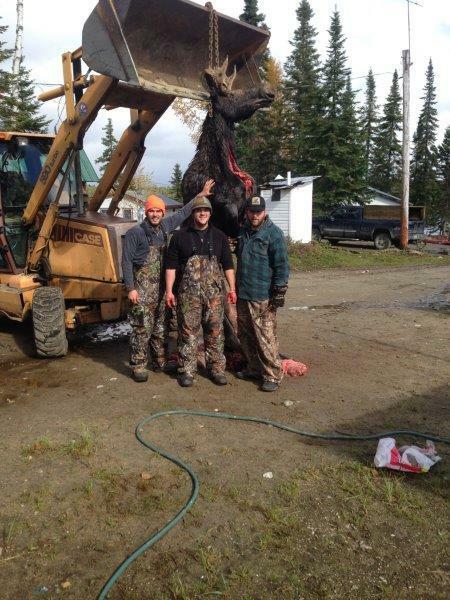 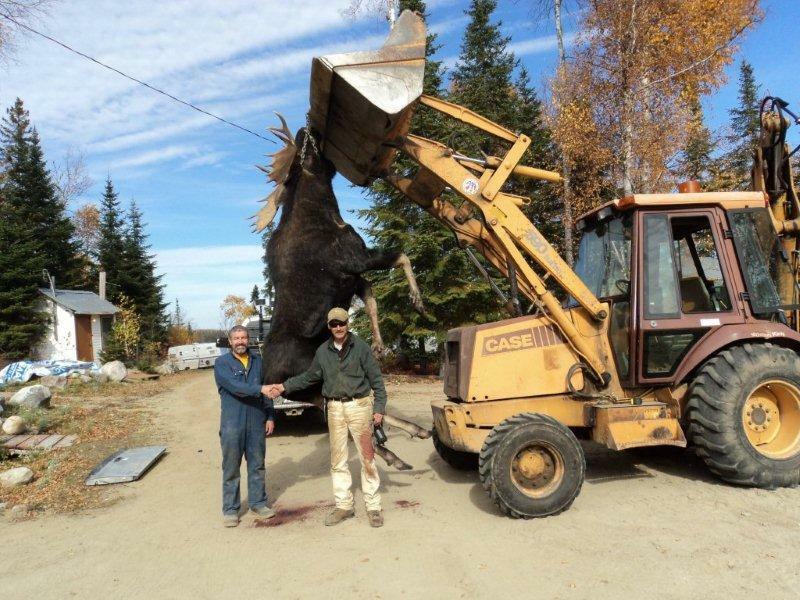 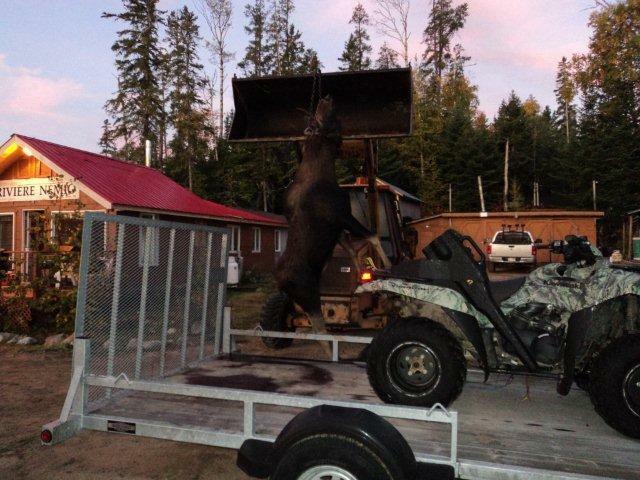 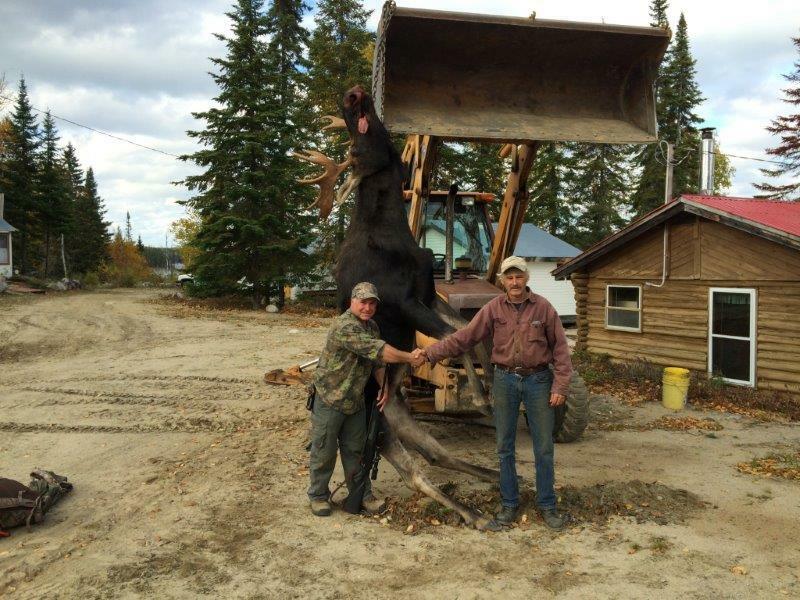 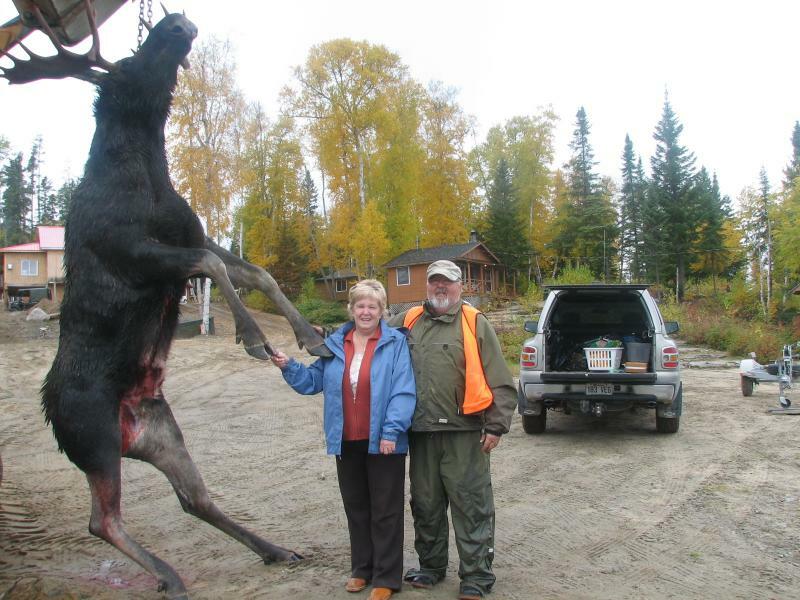 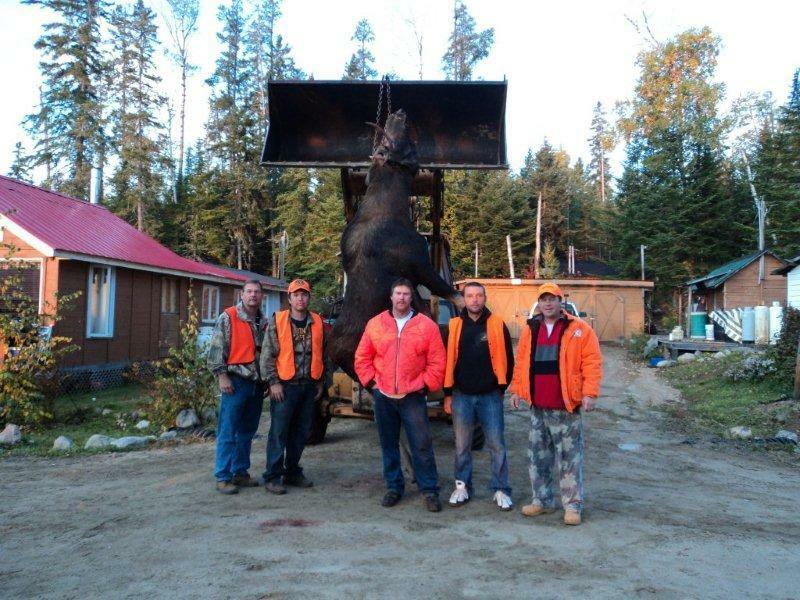 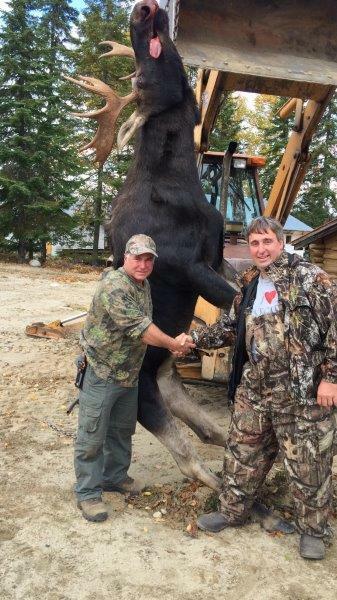 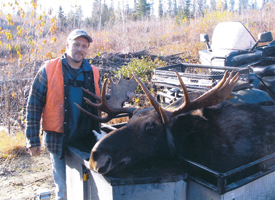 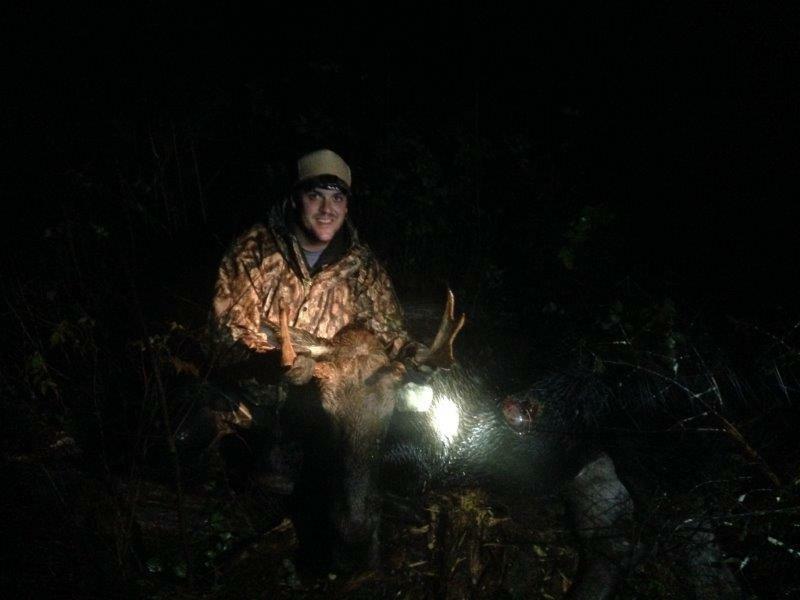 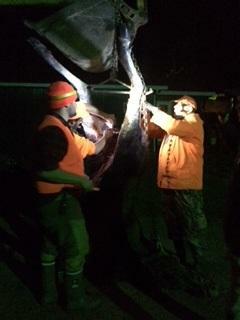 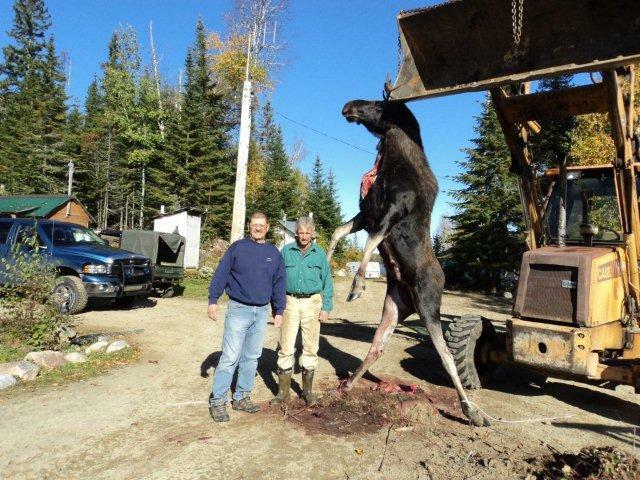 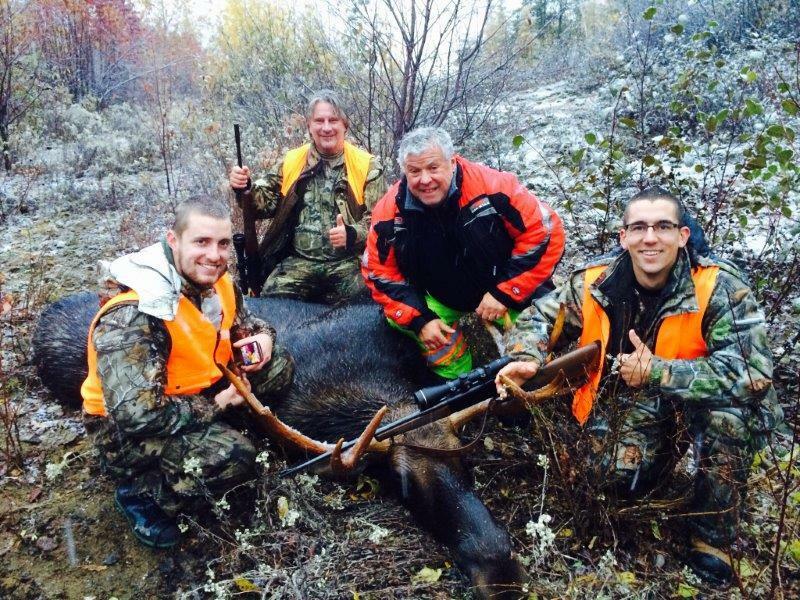 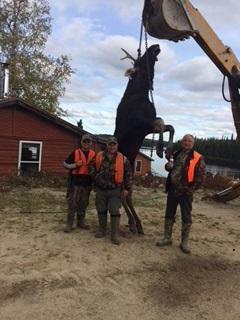 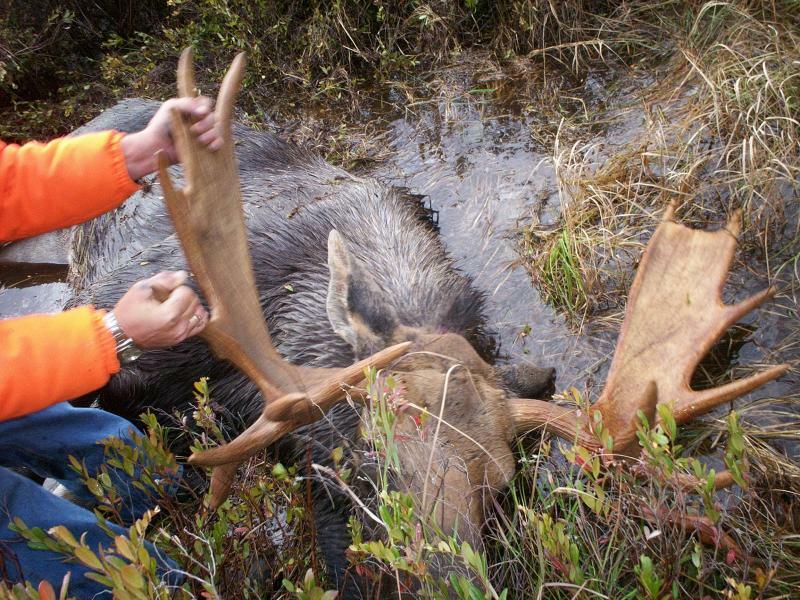 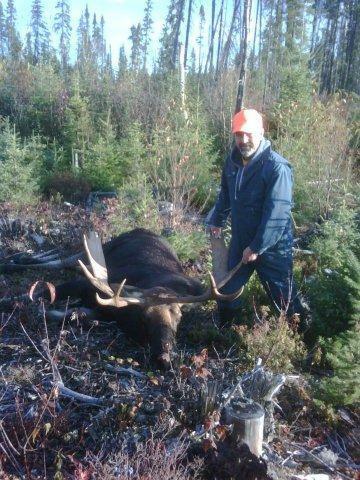 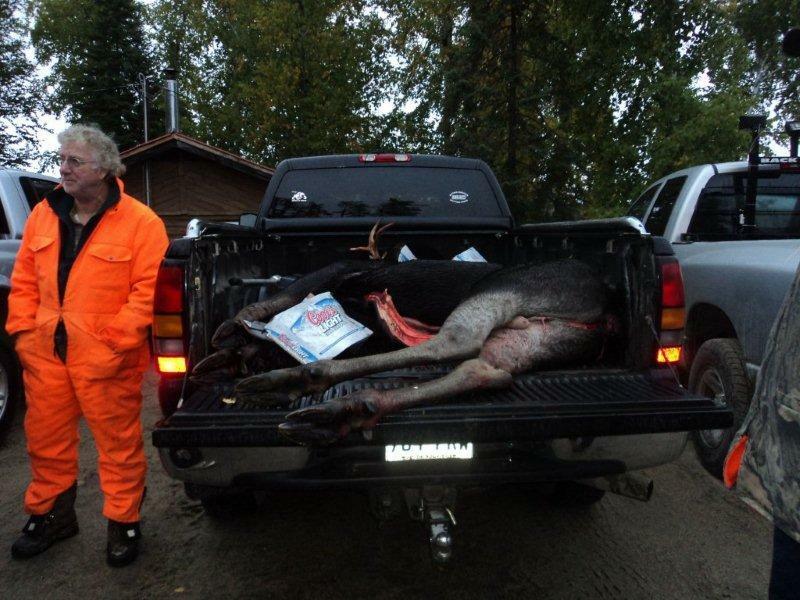 Should you wish to have your moose processed for you, the Nemio staff will be glad to do so for a nominal fee. 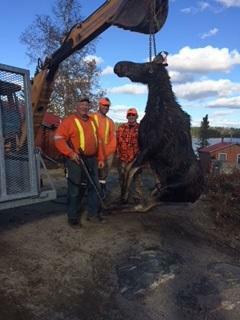 Should you harvest your moose on the last day of the hunt, please feel free to remain an extra day or two, free of charge, to complete all necessary processing requirements. 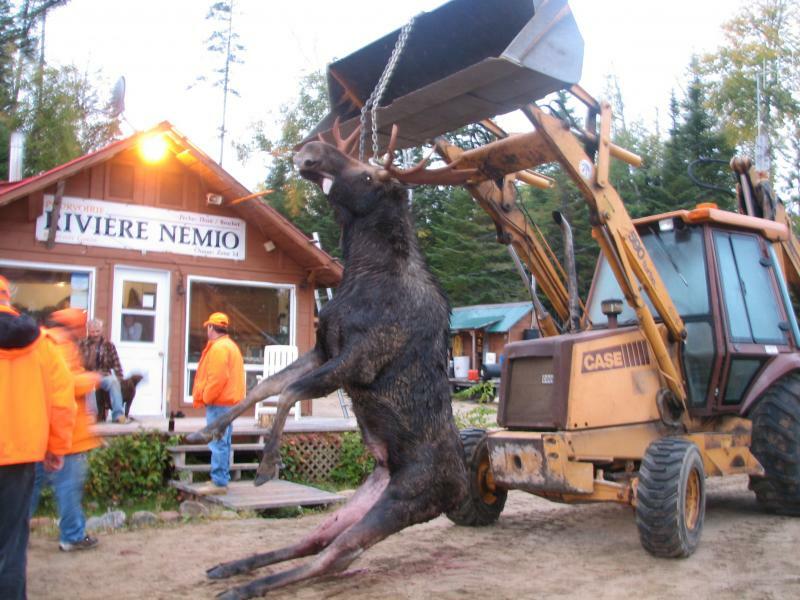 Nemio outfitter, Gouin reservoir, at the entrance of the baie de l'est and the baie du nord.